The Ghana Interbank Payment and Settlement Systems Limited (GhIPSS) is a wholly owned subsidiary of the Bank of Ghana. It was incorporated in May 2007 with a mandate to implement and manage interoperable payment system infrastructures for banks and non bank financial institutions in Ghana. In line with its mandate, GhIPSS has implemented and currently manages the National Switch and Biometric Smart Card Payment System, e-zwich and the Cheque Codeline Clearing (CCC) and Automated Clearing House (GACH) systems. The former switches and settles automated banking and payment transactions while the latter systems handle the electronic clearing of cheques and the processing and settlement of bulk debit and credit transfers between banks. On Wednesday 19th of august, 2015, GHIPSS will launch an internet payment gateway to facilitate domestic Automated Teller Machine (ATM) cards online payment. This follows the planned launch of an Internet payment gateway christened gh-link e-Commerce this coming Wednesday by the Chief Executive of GhIPSS, Archie Hesse. The planned launch of gh-link e-Commerce is in line with the mandate of Ghana Interbank Payment and Settlement Systems (GhIPSS), migrating Ghana to a cash-lite or cashless economy — where various electronic payment options including mobile phones will be dominantly used instead of the heavy reliance on cash. The launch of the ‘gh-link e-Commerce’ is tailored to promote e-commerce as well as assist in the creation of jobs in various services that are needed in the e-commerce value chain. 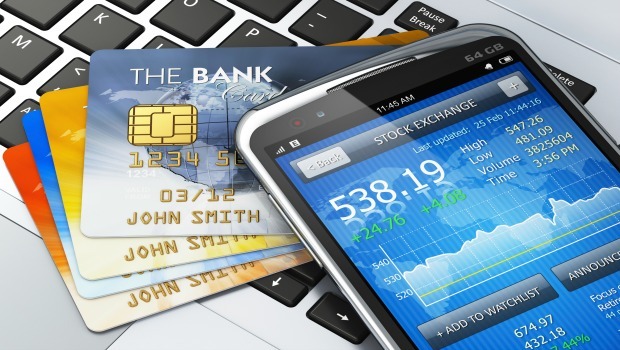 Internet banking and mobile phone banking has also begun to experience stronger growth. gh-link e-Commerce: As part of gh-link’s™ suite of services is the provision of a secure internet payment gateway for the acceptance of online payments. gh-link™ will provide this service in collaboration with financial institutions for the enrollment of merchants. The gh-link™ Internet payment gateway platform has features and tools for merchant management, including risk management and settlement among others. The gh-link™ platform will also enable the processing of online payments in compliance with 3D secure requirements via a merchant plug–in. The gh-link e-commerce platform is certified for Verified By Visa and MasterCard Secure Code. GhIPSS Instant Pay: GhIPSS is also expected to launch an instant payment service that will enable people to instantly transfer funds from one bank account to another, even if the accounts belong to different banks, without visiting a banking hall. The payment option is expected to facilitate transactions, as funds transferred through this medium will be credited to the account of the recipient instantly. Global audience: The Internet enables even the smallest of businesses to access potential customers much farther away than can be reached through traditional channels alone. And gh-link™ e-Commerce will enable small business or start-ups to reach corners of the globe previously only accessible to multinationals’ with large marketing budgets. The internet can help maintain a competitive advantage by opening your business up to a new global audience and also through sourcing potential new suppliers and distributors. Improved Customer Engagement: An online gh-link™ e-Commerce enabled presence will provide businesses with the opportunity to increase communications with customers through interactive elements such as product review’s, customer feedback, email newsletters, discussion forums and blogs. Through real-time feedback you can get to know your customers’ expectations and thoughts on your products and services. This insightful information can then be used to improve customer relations and fed back into the customer relationship planning cycle. Increased Hours of Operation: The beauty of ecommerce is that your business can be taking orders and purchases all day, everyday. Whilst you’re tucked up in bed your business is still working for you, processing orders from customers from the other side of the world – ensuring you don’t miss out on valuable sales. An online store gives your current and potential customers the convenience and ability to shop when they want. Lower barriers to entry: The internet enables businesses the opportunity to compete on a level playing field with even the biggest of competitors. In addition to low start-up costs, the availability of a number of excellent free tools (webs analytics, DIY site builders, social media and so on) gives even the smallest of businesses an equal footing with the big guys. Data tracking and gathering: Analytics provides instantaneous access to your websites’ data. It can tell you all sorts of insightful, real-time information about customer behavior, web traffic, conversion rates, bounce rates – all of which can be fed into your business planning and strategy. And a lot of it is available for free. Gathering this level of detail on a brick and mortar business is much more cost intensive. Cost Effective Overhead: Getting an eCommerce business up and running is generally less costly than a brick and mortar alternative. There are a number of free do-it-yourself website platforms available to get you started no matter how new or small your business is. And, the cost of maintaining a virtual store is far lower than the bricks and mortar equivalent. Reduced marketing and advertising costs: There are all sorts of low cost digital marketing activities you can engage in to improve the online visibility of your ecommerce website. If you are prepared to put in time and effort you can undertake inbound marketing techniques such as Search Engine Optimization, link building, social media, blogs, Pay Per Click advertising, none of which require a large marketing budget. Reduced time to market: The internet provides ecommerce businesses with speed and flexibility. You can set up an online shop in a matter of minutes and adapt your website quickly and easily to respond to market trends or competitor activity. Mass communication with customers can be almost instantaneous through social media and email. Competitive edge: You need to stay competitive and not get left behind – the likelihood is that even if your competitors aren’t all online yet they will be soon. And because the internet provides transparency – there is no quicker and easier way to keep on top of what your competitors are doing than monitoring their websites. Improved payment processing and costs: An gh-link™ e-Commerce business can reduce many processing and transaction costs and enable you to receive payments into your bank account much quicker than through more traditional methods. Safe and Secure: Using the gh-link™ e-Commerce secured payment gateway; customers can easily buy your product or service. There is no anxiety for customers, if business owners use a secured payment gateway. Reduced travel time and costs: This is one of the most effective advantages of the eCommerce Shopping System for customers. They don’t need to visit the store physically. Just place an order and receive product/service at home. So they can easily eliminate travel time as well as a any associated costs. Product Comparison: Product comparison is helpful for both customers and business owners. Customers can easily choose the best product at a reasonable price and on the other hand, there is a big chance to increase sales, which is beneficial for business owners. High Value Jobs for the Youth: eCommerce websites usually have many moving parts behind the scenes, hence specialists who engage in performing such activities, as in web developers, web designers, architects and other IT services will be needed by businesses who sell online. The launch of gh-link e-Commerce will enable full e-commerce to take place in Ghana and also result in the creation of jobs, as various services will be needed in the e-commerce value chain. With the Internet payment gateway going live, airlines, restaurants, hotels and various other shops can offer their services and products and receive payments online. A number of young entrepreneurs who currently sell their products online but have to receive physical payments will now be able to receive payment online. Africa’s middle class is rising and they have money to spend. About a third of the continent spends between $4 to $20 a day—a group that is expected to grow to 42% by 2060, according to data from the Africa Development Bank. That’s more than a billion people. Consumption on the continent rose to more than $1 trillion in 2012, from $364 million in 2000, an annual rate of growth of 10.7%. With deepening internet penetration, some of this spending is starting to happen online. With 50% of the continent expected to have access to the internet by 2025, online shopping could account for 10% of retail sales, or $75 billion, according to a McKinsey report. Google points out that online searches on the continent are rising with commercial queries showing a significant jump. All this is inspiring the emergence of e-commerce platforms trying to cash in on Africa’s new-found wealth. Jumia, a Nigerian-based online retailer, has become the leader of this new class of e-commerce businesses on the continent. Founded in 2012, the company is operational in nine African markets. It claims 150,000 unique visitors a day and says it generated $28 million in revenue in 2014. On top of that, it raised $150 million in new funding, putting the value of the company at a little over a $500 million, according to Jumia’s parent company, German start-up backer Rocket Internet. The outlet works as a digital app—available on PCs and mobile—through which customers can order goods using PayPal or Visa cards, which are then delivered. In Nigeria, Mall For Africa created an MFA WebCard, which reloads with US dollars like a debit card, for people without these traditional online payment methods. With funding from Helios Investment, the platform recently launched in Kenya, with the aim of leveraging M-Pesa, the popular mobile-money transfer tool. A screenshot of MallforAfrica’s online platform. The e-commerce outlet also has a mobile app available for IOS and Android users. But some argue that, despite enormous potential, the African e-commerce space still faces significant challenges. Ndubuisi Ekekwe, writing in Harvard Business Review, points to the failure of the online business directory Mocality and the mobile advertising platform inMobi as signs that e-commerce in Africa has yet to mature. Even Jumia, despite its market dominance, has yet to turn a profit, Ekekwe notes. Nevertheless, with deepening internet penetration and mobile becoming the primary tool through which people engage with the world, the trend suggests that its inevitable that African consumers will migrate to e-commerce. The global growth rate of e-commerce is 16.8%; Africa’s e-commerce space is growing at a rate of 25.8%. Meanwhile, in some of Africa’s biggest markets, a majority of internet users already shop online or expect to do so in the future. Kero a grocery retailer in Angola, currently has 11 stores and expects to open three more by the end of 2014. Kero’s success can be attributed to focusing on three key areas. First is the wide product assortment including non-food products. It stocks approximately 40,000 different products including 200 private-label products. Second, Kero is committed to domestic production, which already accounts for 30 per cent of sales. While most of the food products purchased in Angola are imported, there have been major local investments, primarily in the beverages and fresh foodstuffs categories. Launched by Guinness Nigeria in Lagos in April 2014, Orijin is a premium alcoholic beverage. Orijin is made from the typically bittersweet local herbs and fruits traditionally used in West African herbal alcoholic remedies. The beverage is bottled in contemporary and premium style packaging, and is significantly more expensive than other local herbal drinks. The Cube: Diageo’s innovative portable manufacturing solution in Africa Diageo’s innovative manufacturing solution ‘the Cube’ can be found at its Guinness brewery in Accra, Ghana’s capital. It is a gleaming mini-factory that may point the way forward for global consumer goods companies in Africa. The tiny blending and bottling plant for Gilbey’s gin, housed inside five connected shipping containers, gives Diageo a way to test demand for new drinks while minimising capital deployment. Nestlé has announced the creation of a blueprint for a factory that can be built in half the time for 50 to 60 per cent of the cost of a traditional facility.The so-called modular factory comprises multiple, easy-to-assemble component sections designed to offer a highly flexible and cost-effective solution for creating production sites in developing markets. The model is seen as a way to manage risk linked to lack of infrastructure, energy resources and building expertise. The modular factory concept will enable Nestlé to rapidly establish a footprint, creating local jobs and operating closer to its customers and raw materials. According to Nestlé, the average factory takes between 18 and 24 months to build and costs between CHF30m and CHF50m. The new modular factory could be completed, and up and running, in less than 12 months, at a cost of between CHF15m and CHF25m. Despite Africa’s strong growth prospects, it carries risk. Poor governance, corruption, tenuous legislative frameworks, fragile security of tenure and unclear royalty and tax regimes are significant challenges to strategic planning. Further, issues such as civil unrest, insurgency and a history of ethnic conflict pose operational risks in some countries. The lack of appropriate infrastructure is another challenge. Yet since the beginning of the 21st century, Africa has been going through a period of structural transition, with more stability creating an environment where risks are perceived as more manageable. The transformation coincides with the growth of the African middle class: a more connected, brand conscious and optimistic population. Africa is not suffering from a lack of demand, but from a lack of supply. In some areas, such as online, the potential offered by the continent is higher than in other markets. E-commerce and m-commerce create an opportunity because they offer solutions where traditional alternatives, such as retail real estate, are not readily available. Asking the right questions will allow companies to focus successfully on strategies that may form the basis for long-term planning and short-term prioritization. Companies need to consider whether to grow through acquisition or capital expenditure. Businesses also need to consider developing new channels, adapting existing brands and developing new brands, and partnering with local businesses and entrepreneurs. Where there are challenges, there are also opportunities for innovation. Building strong relationships with consumers, distributors and governments also demands a good understanding of local market conditions. Businesses must evaluate profit opportunities, determine the nature and extent of demand, identify the full cost of participation and understand local competitive alternatives, including counterfeiting and informal competition. Businesses also need to assess whether they are prepared to manage a high volume of low-value transactions and potentially wait longer before generating returns. With that in mind, it is important that they protect operations from legacy and overhead costs associated with more affluent markets. This may entail setting up separate units operating with different models and time frames. Africa demands a long-term focus on sustainable growth rather than short-term profit. Some of the main fiscal and monetary issues to manage include local currency volatility, controls on foreign exchange and capital flows, and selective tariff barriers. There are also transparency and compliance-related issues. Corruption and political volatility is widespread and legislative and regulatory issues are complex. Many markets have difficulties with counterfeiting and fraud which require constant due diligence. It has been argued that e-commerce is useful to both producers and consumers in Africa as it helps countries overcome the traditional barriers of distance from markets and lack of information about market opportunities. Producers and traders no longer need to maintain physical establishments requiring large capital outlays. Virtual shops and contact points on the internet may enable storage close to the production site and distribution can be made directly to the consumer. Increased advertising possibilities world wide may help small and medium industries and businesses in Africa that traditionally find it difficult to reach customers abroad. Ecommerce may also enable such firms to eliminate middlemen while trying to sell their products abroad. Hence gh-link e-Commerce launch is definitely a step in the right direction and I hope the youth will take advantage of the new opportunity.